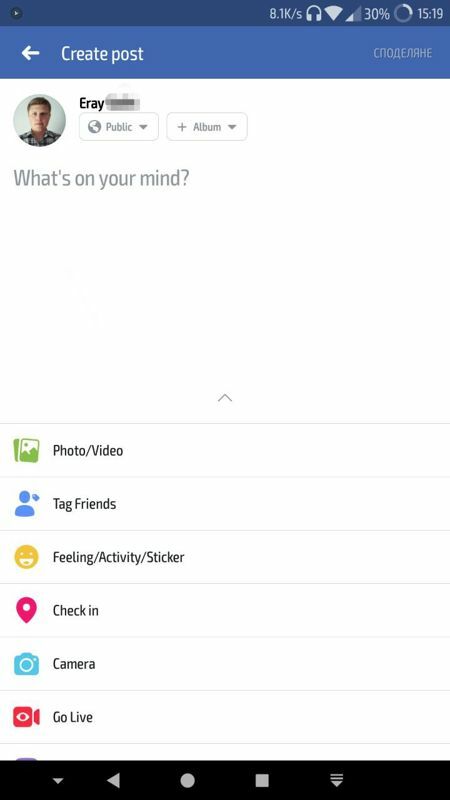 Facebook beta for Android - Keeping up with friends is faster and easier than ever. Share updates and photos, engage with friends and Pages, and stay connected to communities important to you. TestingCatalog is a community of beta testers and developers exploring android apps and exchanging feedback. Facebook is the most popular social networking app today, and the posts are maybe the most used feature. We will dive straight into how posts work, what the extra settings do and more. Posts are like news articles - they contain text, images, videos, GIFs, location data, hashtags/etiquettes and more in a mixed format. What are the customization options for Facebook posts? Privacy - Decide who can see your post - everyone, your friends, some friends, or only you. Album - You can add a picture or a video to an album. Lists - You can make custom lists with numbers or bullet points and change their background colors. There are some popular lists with topics like "My favorite foods", "People I love" and many more. Photo/Video - You can add photos and videos to your post instantly. Tag Friends - Tagging is basically saying that you are, you were with, or the post is about that special person/persons. 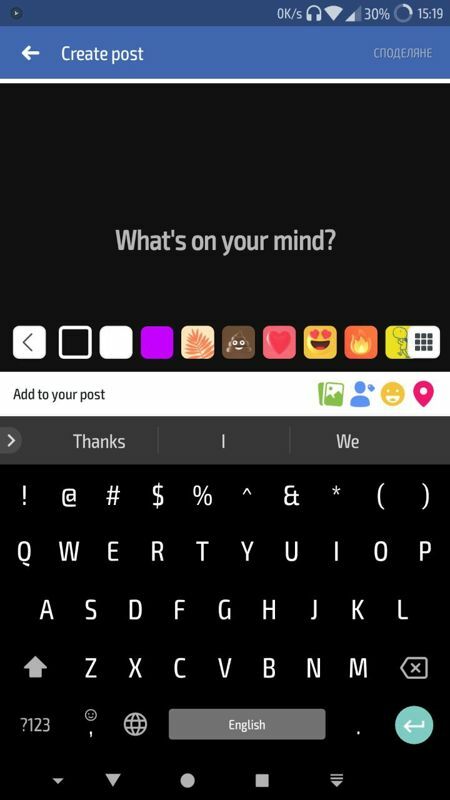 Feeling/Activity/Sticker - This allows adding specially curated emojis and stickers related to the topic. You can express your feelings and describe your activities with ease. Check in - Shows your current location. Camera - Lets you take a picture or a video right from the Facebook app. Go Live - Starting a live chat has never been easier. GIF - You can insert a GIF. Background color - You can choose a background color for your post. It's handy if you are going to quote a persona because it gives the vibe that you are going to tell something wise. Tag Event - You can tag events, which you are going to attend and want your friends to join, maybe. Poll - Yeah, this one is useful too. You can ask your audience to help you decide on something, who knows what. Ask for recommendations - If you are in an unknown place, you can ask people to recommend you a restaurant, a hotel, and such. 360 photo - Yes, you can take 360º photos. Support Nonprofit - You can support charities and non-profit organizations. Let's wrap things up. 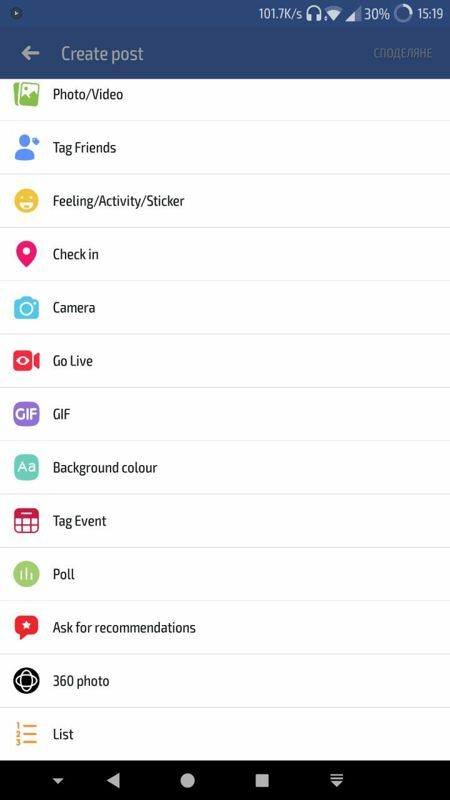 These are all the options in the Facebook's posting page and the things you need to know about them when creating a post. Instagram Beta & Alpha Share your photos and videos!